The leading independent specialist for windscreen replacement and windscreen repair based in Lancaster and serving all of the Lancaster area. National Windscreens Lancaster fitting centre provides windscreen replacement and windscreen repair services to businesses and individuals throughout Lancaster and the Lancaster area. 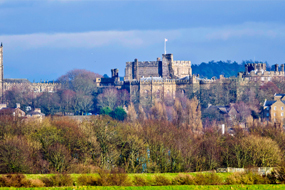 Lancaster is situated in the north of England, the M6 motorway passes to the east of Lancaster, with junctions 33 and 34 to the south and north respectively. Additionally the A6 road passes through the city leading southwards to Preston and Manchester and northwards to Kendal and Carlisle. The Lancaster Grand Theatre and the Dukes are two of the city’s most notable venues for live performances of comedy and theatre. Further places of interest for tourists and residences alike are the Cathedral and Lancaster Castle. The Lancaster windscreen fitting centre and its mobile vehicle glass technicians service the needs of Lancaster and the surrounding area including Morecambe, Kendal, Heysham and Ulverston. With 108 fitting centres and over 800 mobile technicians, National Windscreens operates the UK's largest windscreen repair and windscreen replacement network. The company provides low cost, high quality windscreen replacement and windscreen repair from its Lancaster fitting centre 24 hours a day, 7 days a week, 365 days a year. Repair and replacement of all types of vehicle glass including windscreens, rear windows and side windows is undertaken throughout Lancaster and all of the Lancaster area.